The report by Gartner Digital Markets reveals that ManWinWin has moved up a place in the category of Facilities and Maintenance Management Software. The Portuguese CMMS has also reached the best score on users’ recommendations. In the latest FrontRunners report for Facilities and Maintenance Management Software, ManWinWin ranks fifth in absolute terms, rising one position from the previous report released in August last year. The report supported by Gartner Methodology determines the scoring of each software solely from two criteria, usability and user recommended scores. 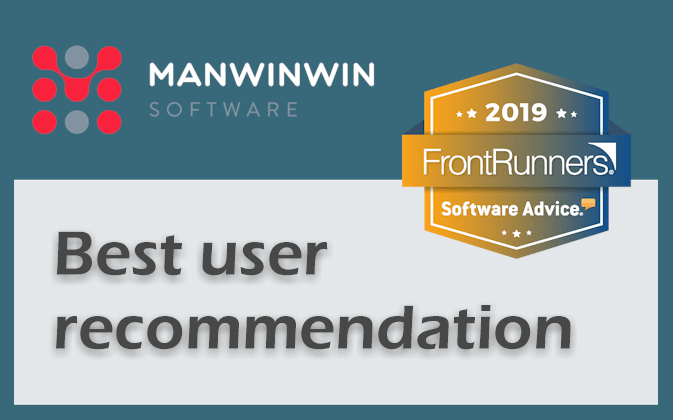 Regarding user recommendations, the Portuguese CMMS presents itself as the best rated software in a criterion that is calculated by an overall weighted average of scores including end-user ratings regarding price and the likelihood of recommending the solution to others. This is another recognition of the “Win-Win” value proposition defined by ManWinWin Software, which is based on a software development plan that considers many client suggestions, allowing customers to win because they are satisfied with the software that attends their suggestions and allowing ManWinWin to win because it has satisfied customers using the software. The FrontRunners for Facilities and Maintenance Management Software is created from a set of user-made assessments of the various systems listed in the Gartner Digital Markets directories (Software Advice, Capterra and GetApp) and the full report can be found here.